Two major names will soon be joining other notable celebrities and public figures as residents of Fisher Island. 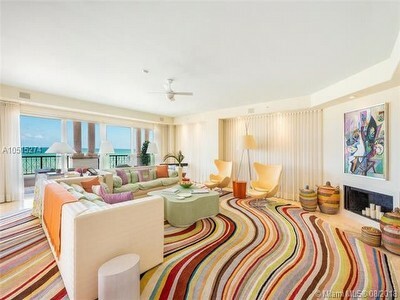 The former CEO and chairman of Hasbro Toys recently purchased a home at the Palazzo Del Sol. Hasbro is perhaps best known for its perennially successful products such as the popular Monopoly board game, the Nerf toy blasters, My Little Pony, and the Transformers toys. Besides the Hasbro CEO and chairman, a former Formula One driver from Brazil also purchased a home in Fisher Island’s Palazzo Del Sol. The driver has raced for several different teams including Arrows Formula One and BAR Honda. In 1996, he achieved first place in the Eurocup Formula Renault 2.0 motor racing championship. These two individuals join other famous names that live or once lived in Fisher Island. These names include Czech model Karolína Kurková, retired professional tennis player Andre Agassi, Russian professional hockey player Evgeni Malkin, and billionaire philanthropist Oprah Winfrey. Besides Palazzo del Sol, Fisher Island is also home to other communities like Bayview, Palazzo del Mare, Seaside Village, and more. If you’re interested in current properties for sale, please give us a call and we’ll tell you all about the magnificent and incredibly private island. style="color: rgb(0, 0, 0); font-family: Verdana, Arial, Helvetica, sans-serif; font-size: 11px;">For the little ones living in the private community of Fisher Island, most if not all of them will attend the Fisher Island Day School (FIDS). This school is located on the eastern side of the island and it students of any race, color, national and ethnic origin. It functions as an independent school comprised of a mere eighty students or so enrolled in Early Learning through Fifth Grade.